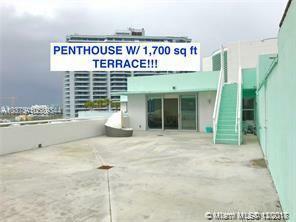 1,700 SQ FT PRIVATE OUTDOOR TERRACE!! 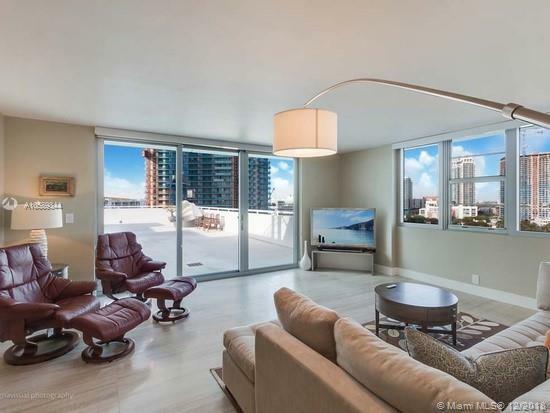 Rare, remodeled Edgewater penthouse w/ $100,000+ in upgrades, includes 1,700 SQ FT TERRACE w/ views of bay & city!! 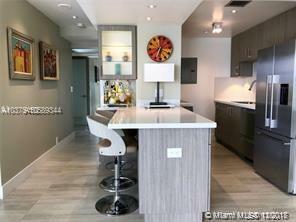 Oversized 1/1 is turn-key, new everything, 100% remodeled has new impact glass, flooring, kitchen, bath, elec, & more. Lg master fits 2 queen beds, huge! Great amount of closet space. Enormous terrace ready for an amazing outdoor kitchen, for true indoor-outdoor living on the bay! Walk or bike everywhere - Wynwood, Midtown, Design District. 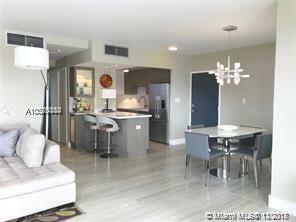 No assessments, dogs OK up to 20lbs (bldg has own dog park), tranquil pool on bay, gym, 1 pkng space. Great combo of elegance, size, & price- look no further, you found your home in the sky. Bayside pool, tennis, fitness along w/ stellar onsite security. Owner open to renting unit w/option to purchase.